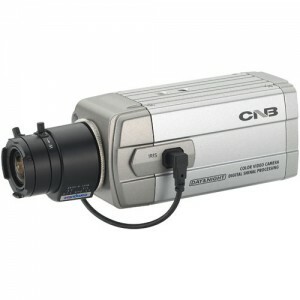 CNB GN345 1/3 SONY Super HAD CCD 480TVL AWB, AGC, BLC, Flickerless Dual Voltage High Sensitive 1/3" SONY Super HAD CCD Normal Resolution : 480 TV Lines Minimum Illumination: 0.3 lux AWB, AGC, BLC, Flickerless AC24V/DC12V Dual Voltage Lens and mount are sold separately ..
CNB GN355 1/3 SONY Super HAD CCD 525TVL Low Light, DNR, Dual Power High sensitivity 1/3" SONY Super HAD CCD Min. 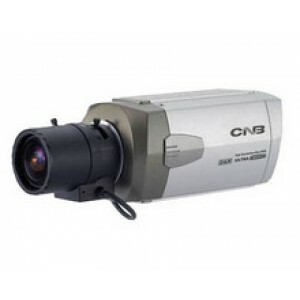 Illumination : 0.0008Lux (DSS 128FLD) Digital Noise Reduction Electronic day & night mode selectable High performance menus for functions (OSD) Privacy zone sele..
CNB GN605 KC2 1/3 SONY Super HAD CCD 525 TVL High Resolution AWB, AGC, BLC, Flickerless Dual Voltage, Digital zoom, Low Light 1/3" SONY Double Scan CCD High Resolution (525 TV Lines) KC2 Verson Double Scan WDR (Wide Dynamic Range) Made In Korea Day & Nigh..
CNB LCM-24VF Outdoor Dome Camera Intelligent IR 600TVL 18 Leds Vandal-Resitant ICR 2.8-10.5mm Dual Power 1/3" High Sensitivity CCD Ultra High Resolution : 600 TV Lines (BW 650TV Lines) Built-in DC Iris Vari-focal Lens(f=2.8~10.5mm) Intelligent IR Technology Built-in IR LED (18EA) ..
CNB OEM WCL-20S Night Vision IR Camera MONALISA 600 TVL 34 LEDs 6mm 1/3" IT CCD Ultra High Resolution : 600 TV Lines(BW 650TV Lines) Fixed Lens(f=6mm) Intelligent IR Technology Built-in IR LEDs(36EA) Min. 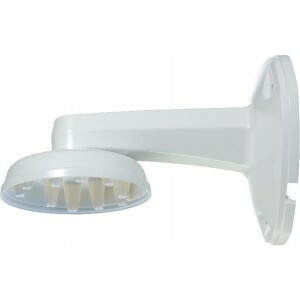 Illumination : 0.00 Lux DNR, Auto White Balance AGC, SBLC, Flickerless ..
Wall Mount Type Plastic Bracket for Eyeball and Dome Wall Mount Type Plastic Bracket for Eyeball Tye Dome & General Dome Material: Polycarbonate Avail. 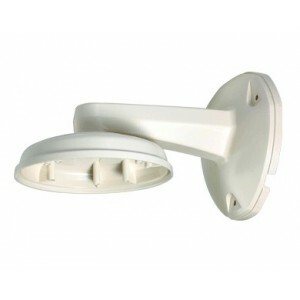 in appliable models D2000 Series (General & IR Dome) VB2000 Series (EyeBall Type Dome) Blue CCTV of..
Wall Mount type Bracket for General Dome Wall Mount Type Plastic Bracket for D2000 Series High Glossy Type Dome Only Material: Polycarbonate Avail. 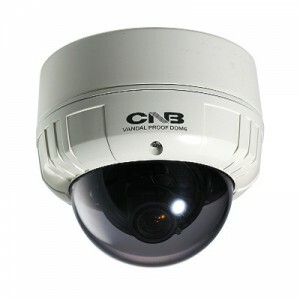 in appliable models - D2000 Series High Glossy Dome (General & IR Dome) Blue CCTV offers mounts for your surveillance cameras, hou..
CNB BBM-20 MONALISA DSP Box Camera 600 TVL 0.03 LUX (B/W) DNR OSD High Sensitive 1/3" SONY Super HAD II CCD Super High Resolution : 600 TV Lines Min. 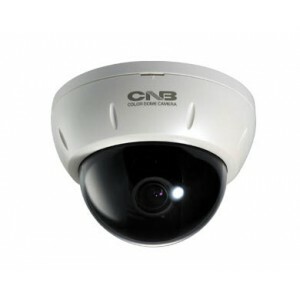 Illumination : 0.03 Lux AWB, AGC, BLC, Flickerless Day & Night DNR, OSD 12V DC Only BlueCCTV Inventory Model ID : B152-0 ..
CNB Blue-i high resolution WDR Box Camera low light 3D DNR, 0.0002Lux DSS ICR 12V ​ ​1/3" High Sensitivity CCD High Resolution : 580 TV Lines XWDR (Up to 60dB), TDN(ICR), 3D-DNR Min. Illumination : 0.0002Lux (DSS On, B/W) OSD, AWB, AGC, BLC, 6.13x Digital Zoom Digital Slow Shutter 2..
CNB VCB-24VF Dome Camera 580 TVL, Blue-i DSP XWDR, ICR, 3D DNR, DSS, Dual Power, Dual Mount ​ ​1/3" High Sensitivity CCD- High Resolution : 580 TV Lines Built-in DC Iris Vari-focal Lens(f=2.8~10.5mm) XWDR (Up to 60dB), TDN(ICR), 3D-DNR Min. 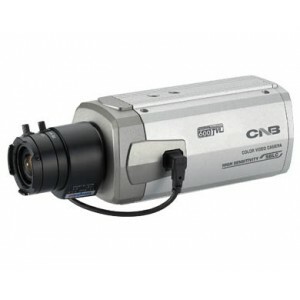 Illumination : 0.0002Lux (DSS On, B/W) OSD..
CNB Vandal Outdoor WDR High Speed PTZ Camera 432X Zoom, 36x Optical , 12x Digital True Day and night ICR 432x Zoom(36x Optical / 12x Digital) User Friendly Installation An angle of direction display 128 preset positions Pan/tilt maximum rotating speed is 360˚/sec Electronic sensi..
CNB DBB-24VF Dome Camera 580 TVL, Blue-i DSP WDR ICR 3-DNR DSS Dual Power Feature 1/3" Vertical double - density interline CCD High Resolution : 580 TV Lines Built-in DC Iris Vari-focal Lens(f=2.8~10.5mm) WDR (Wide Dynamic Range) TDN(ICR) ..